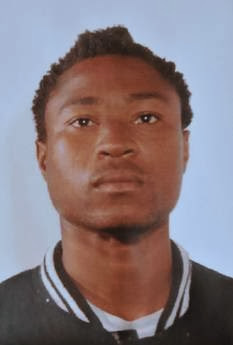 An 18-year-old Naija man is currently in police custody following the suspicious death of a 60-year-old Italian woman named Catherine Susca outside Bari. An Italian news agency said Catherine was found semi-naked with a plastic bag over her head and her skull crushed in her apartment in Torre a Mare. Police investigations concluded that the 60-year-old woman died as a result of the brutal beating she got from Donald Nwajiobi in the attack. She was suffocated with a plastic bag and strangled with a scarf. 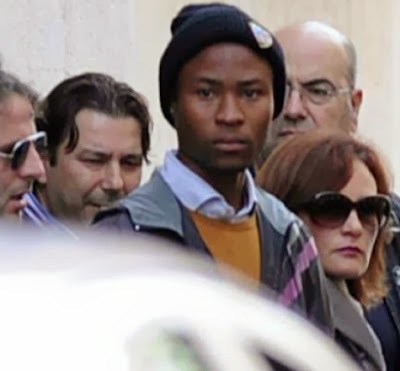 The 18-year-old Nigerian man who is reportedly homeless stays in Bari. He confessed he killed the woman in self defense when she attacked him with scissors. During the course of his confession, Donald said he met Catherine on the day of the incident and asked her for food. The lady ordered him to follow her to her house with a promise to give him something to eat. The police think once in the house, Donald tried to steal from the woman and was caught in the act, which would have led the 60 year old woman into trying to chase him out of her house with a pair of scissors, but Donald attacked her and suffocated her with a plastic bag after beating her up. Donald who is now in police detention reportedly stole some money and a cell phone from his victim. He was tracked down with the stolen mobile phone. Why is Donald homeless? cant he work with his own hands. You are a big full!!! Tell your papa all you just said and see what he tells you. It is people like this that rubbish Nigeria’s name. People from his tribe are hardworking people so why would he live on the street and beg for food? Is he one of those who migrate to Europe with no hope for accomodation? If he is guilty, let him face the music. Abroad is different completely from Ng.if u will come abroad,drop your Ng garment at the airport or else u get into trouble easily.What u can get awy with yonder,not so overseas,the gov that Ng refuse to jail is in London jail till today.Ng we hail thee.Am sorry bc truth is bitter. Thank you Baks, you said the truth. Some Nigerians bring along with them the irresponsibility and criminality of Nigeria officials with them overseas where there are laws and order. They think they can get away with criminality overseas as they do in Nigeria. I dnt knw y sm pple on dis site cannot post any reasonable comment 4 once esp concerning d present situation in qust w/t bin tribalistic. @Ishama u re a vry useless idiot. Ahuofia. @Ishama @bezo u people re a vry useless idiots. Ahuofia. @ishama @bezo. Your such illetrates,fools. See d silly bokoharram monkeys being tribalistic. Such fools. he is not 18 years, he is on drugs that is why he is homeless, he stays in the street stealling to support his drug addiction. but to those of you that hate igbos and making useless comments here, we are still rated as number one tribe in the world, am writting from romania and i do not steal from anybody.God bless Biafrans. If we can live pass judging which tribe gave birth to evil and look at the rate this crimes takes place,you may see that half the time the said person may not be from Nigeria but neighbouring countries with Nigeria passport,when they commit crime and are caught the. one and only name you see is Nigeria name on the passport while they may not even know the capital of any state in Nigeria.Not all crime that are labeled naija crime offender is truth. Na waoo, I no blame people that don’t know how to talk, ok the boy did something wrong why must u guys rub salt to injury by saying igbo people this Igbo people that,abeg make I hear word if he found guilty make them jail him. @Idiots, I am not supporting the Nwajiobi if actually he did that.but mind you, you can not call him a thief now until after judgement. Take a look at the Yetunde story, an actress that was once confirmed a thief in February this year, but at the end of the day it was a frame up even as they have master keys as evidence but at the end of the day it was a frame up. You people are not there, Is only God Almighty who know the truth.You made mention that Igbo’s are lazy that the don’t like stress their self, this and that. You judge wrong. If go to Yoruba you will see bad people if your go to hausa, you will see bad people.I see hate in your voice and to Bezo and ishama, I wonder the kind of tribes you people came from that is the best in this country. you are just being tribalistic and will not help you rather you will incur the rot of God upon yourself. I am a Yoruba man but guys, it’s time we put behind this tribalism and move forward, what legacy are we leaving for coming generation? by been tribalistic. one thing I know for sure, there’s good, bad and ugly from every tribe and race, even the white, Indians, Hispanic, black etc.